A Joint a Day Keeps the Doctor Away? From my experience living in East last year, I can tell you that freshmen are not strangers to the smell of marijuana wafting through the halls. Whether it’s coming from outside, your next-door neighbor, or even from your own room, one is bound to smell the infamous “skunk scent” somewhere. Recent news has brought to light many cannabis-linked health benefits. 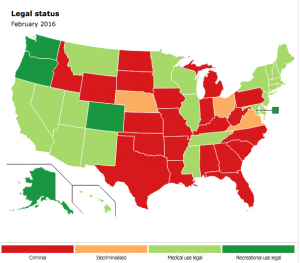 Despite this, medicinal marijuana is only legal in half of the United States. Doctors and healers have been utilizing marijuana since ancient times. Uses for cannabis include anesthetics, pain relievers, and treatments for epilepsy. Even today many doctors still believe in its healing abilities. So I wonder, are there legitimate health benefits to utilizing marijuana in medical treatments? 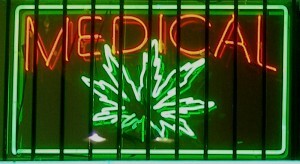 A 2007 placebo-controlled study was one of two studies concerning medical marijuana conducted by University of California integrative medicine specialist, Donald Abrams. The 2007 study showed that marijuana was more effective than morphine for treating pain caused by nerve damage in HIV patients. It is thought that this is due to cannabinoids, active ingredients in cannabis. The primary cannabinoid known as THC (tetrahydrocannabinol) directly interacts with the brain’s CB1 receptor, signaling the body to suppress pain response. This would be considered to be the mechanism behind the reduced pain. As discussed in class, correlation does not always mean causation, however due to the controlled study and identification of a mechanism, one can reject the null hypothesis that marijuana had no effect in reducing patient’s pain. 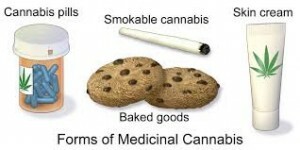 I have even seen the benefits of medicinal marijuana in my own life. In 2011, my grandmother, was diagnosed with breast cancer. Her chemo treatments caused her to loose her appetite. She was becoming weaker everyday, and malnutrition was impeding her progress. After evaluating the situation, her doctor prescribed her a medicinal marijuana pill, in hopes that would encourage her to eat more regularly. Clinical evidence has led many doctors to prescribe marijuana to cancer patients in order to relive nausea, increase appetites, and reduce pain and anxiety. However other studies show that cannabis-related drugs are not as effective as other treatments to treat symptoms in patients. However, marijuana’s ability to treat several side effects simultaneously makes it a formidable option for sick patients. 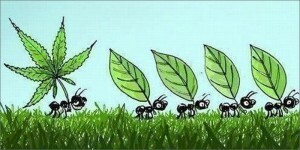 In my grandmother’s case the marijuana proved to be effective. Though her appetite was still quite low, when taking the marijuana pill she asked for food more often. It also reduced the nausea she was feeling due to her chemo treatments. Though she only took the pills on her “worst days”, she found comfort in the fact that she had options. Why is Mary Jane still taboo? Still despite our modern research and studies the majority of Americans are denied the right to utilize medical marijuana. An agent for this could be a serious lacking of studies. As we talked about in class some subject material is just difficult to test, marijuana falls into this category. Since marijuana is an illegal drug, in order to perform any studies with it, researchers must be granted special permission by the DEA. This is not only expensive, but also very complicated and time consuming. In addition, it is hard to obtain good placebo trials. Since many of the symptoms being examined are qualitative, it is difficult to get hard evidence to successfully prove or reject any hypothesis. Medical marijuana has a place in modern medicine. However limited studies, leave many to question the validity of its benefits. I think that more research has to be invested in the subject, so that we can get patients the help that they need. So next time you smell skunk in East, just think about the amount of sick people that one joint could help. This entry was posted in Uncategorized on September 29, 2016 by Marielle Concetta Ravally. I feel like marijuana is one of these drugs Andrew talked about in class, which is actually very good but isn’t widespread because of regulation concerns born from uncertainty of its effects. One interesting study conducted by the Arizona State University on Neozealanders found that Cannabis has negligible effects on health, except for dental health. The mechanics for this are unknown, but their tests show that marijuana is overall a rather inoffensive drug compared to other illicit substances. I have never smoked it and don’t plan to even if it does become legal, but I believe it’s important to legalise it sooner rather than later since it has been proven that making drugs illegal only increases their detrimental effects on society since it falls on the black market to provide them. The war against drugs is fundamentally flawed, and freedom to buy and consume drugs should be universal, even if they are potentially lethal. Portugal decriminalised all drugs in 2001, and today almost nobody dies because of drugs there. It is unclear why decriminalisation of drug possession and use decreases death rate from overdose, but Portugal now has one of the lowest rates of drug related deaths in Europe. While we don’t know why, I think it’s safe to say treating drugs as a health concern instead of a criminal one is definitely how our governments should face drug issues. Hey Marielle! I have to admit, your article title made me think of a body JOINT instead of the marijuana meaning. I was particularly interested in how a joint in our bodies would keep the doctor away, haha. I really liked how you connected the use of marijuana towards the removal of pain and aiding the side effects of cancer treatment. I definetely agree that marijuana is a taboo concept. I think one of the main reasons is the “illegal” nature of the substance. Do you think marijuana would keep the reputation it has today if it was legalized across the country? I think you did a great job with connecting this topic to the class material. I think what you said about such limited research is also true, but will most likely change very soon considering the shift in mindset regarding marijuana. I think the study you brought up was really interesting, but can we apply that to all things? Can the reduction of pain in cases of nerve damage in HIV patients be applied to pain in another patient of a different situation? I know you brought up that cannabinoids interact with our brain’s receptor for pain, but I wonder if their effect varies greatly when it comes to different issues. Lastly, I think you should find more objective sources. As much as I want to agree with you on all of this, I don’t think it’s necessarily fair to find information on a website called herb.co, as this could definitely be a biased source. Here is a link that may make your argument even stronger: This website weighs the benefits and negatives to medical marijuana and is a credible source. I really enjoyed this blog! Here is the link . For some reason it didn’t link itself in the original comment. Hi! Thanks so much for reading. I just want to clarify, the herb.co website was cited because that was a source for one of my pictures! You do raise some interesting points. Its definitely an interesting topic and often debated topic. Hey Marielle, found this article very amusing. I find it fascinating that although many studies have been done supporting medical marijuana and stating that it helps patients out with pain, only 24 states is medical marijuana legal in, 4 of which weed is completely legalized for recreational use. I believe medical marijuana should be legal in all states because not only would it help those in need but it could boost our nations economy significantly as a whole as shown in this article: https://mic.com/articles/126303/where-is-marijuana-legal-in-the-united-states-list-of-recreational-and-medicinal-states#.5hmHdzOor .